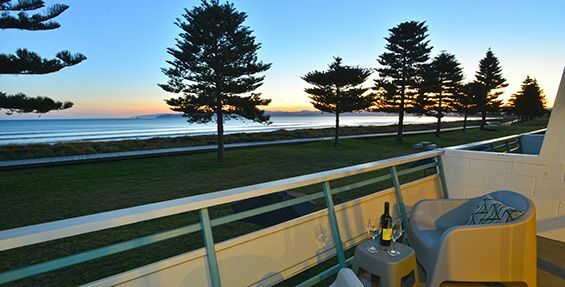 The Whispering Sands Beachfront Motel is situated on beautiful Waikanae Beach in Gisborne. It’s within 15 minutes walk of the town centre of Gisborne and offers stunning views across Poverty Bay across to Young Nick's Head – the first landfall that Captain Cook saw when he discovered New Zealand (Aotearoa – The Land of the Long White Cloud). All rooms have views of the ocean, walk out of your unit and enjoy the surf, sun and sand.